K2 describes the Ender as a durable, hard-charging freestyle boot. Though marketed as a freestyle boot, the Ender’s close resemblance to the K2 Aspect (a backcountry specific boot, and my personal favorite for splitboarding) made me excited to see how the Ender would perform as an all-around boot for the resort and a bit of backcountry. Although not as stiff and burly as the Aspect, the Ender’s smooth flex, full Vibram sole, and solid construction make it an intriguing option for a one-boot quiver. With over 50 days in the Ender, I can attest to its performance in many different conditions, and both while riding in the resort and in the backcountry. Similar to the K2 Aspect, the Ender utilizes K2’s “Endo” construction, which consists of a urethane endoskeleton on the back of the boot that offers solid support, yet allows the boot to flex while theoretically decreasing the chances of blowing out a seam after extended use. After just under 60 days of riding primarily in the resort, the Ender is holding up extremely well. In the past, I have had issues with seams blowing along the toe box and ankle on the Deeluxe Independent BC, Nike Kaijus, and various Thirty Two boots. However, the Ender seems unscathed coming into their second season. 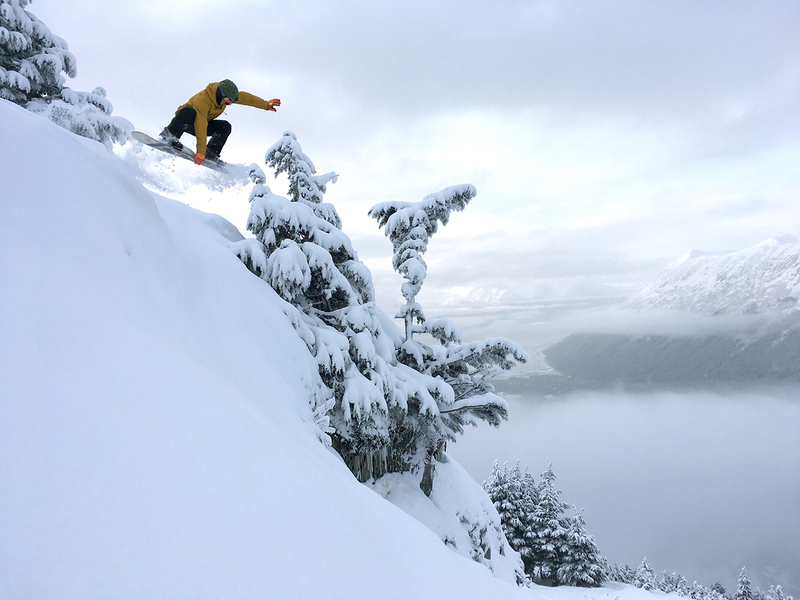 The Ender has a smooth, consistent flex, which translates power very well on a variety of snow conditions, specifically when hitting natural and man-made features, slashing turns, and making powerful carves. While there are many aspects that go into a boot’s performance, I think the Endo construction plays a major role in the Ender’s smooth-yet-powerful flex. 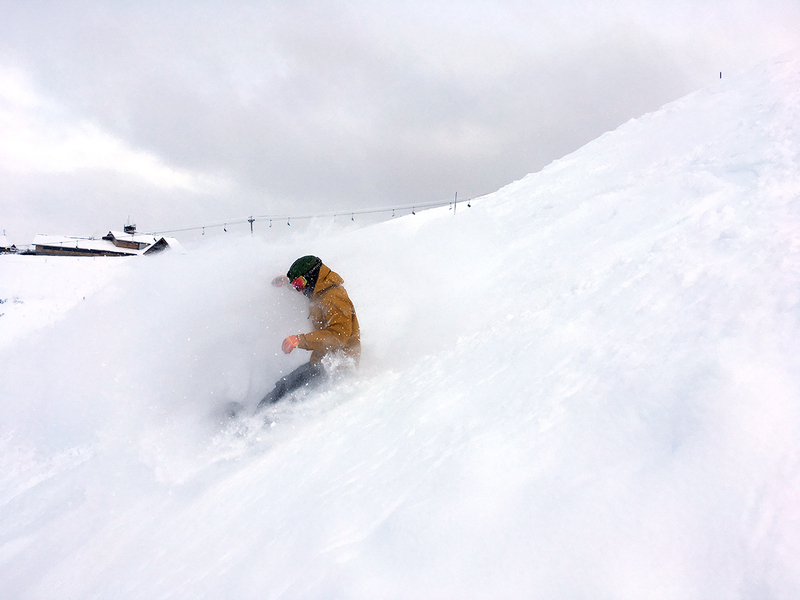 Andrew Forward in the K2 Ender Boot (photo by Chloe Wear). K2 rates the flex of the Ender as 4 out of 5, though I’d say it is closer to a 3 compared to the other boots I’ve used from K2, and those from other brands. I’ve been impressed by the Ender’s durability in regard to its flex — I haven’t noticed it getting much softer or packing out after the initial break-in period. In terms of flex, the Ender feels stiffer than the Nike Kaiju and similar to the Independent BC (when the Independent BC was new). Compared to the backcountry-specific K2 Aspect, the Ender feels slightly softer, which may be due to the lack of a power strap and less rugged sole. It is worth noting that the Ender felt really stiff out of the box before the initial break in period, which I think is mostly due to the plastic compression strap in the BOA harness. After 5-6 days of riding, the plastic component seemed to form to my ankle, becoming much more comfortable and supple. As I have preached in all of my boot reviews, I am huge proponent of traditional laces, and have always been wary of quick lacing systems for several reasons. Although quick lacing has come a long ways from when it started, I do not like the idea of the system failing, and having to “MacGyver” a fix while I am waiting for a part to ship or a warranty replacement (which can be a long process in more rural areas like my home in Girdwood, Alaska). I’ve been on a few trips where several boots with quick-lacing / BOA systems failed, and continue to believe that the simplicity of traditional laces cannot be beat, and am convinced that the fit cannot be rivaled either. The BOA Mobility Conda system on the Ender is the only mechanized piece of the boot, and has done a very good job of keeping my ankle secure and comfortable. It’s especially nice for quick adjustments throughout the day. Although I haven’t had any issues with the BOA on the Ender, I did have the dial break off on the K2 Aspect, which may have been a result of user error and a snowmachine-related crash. 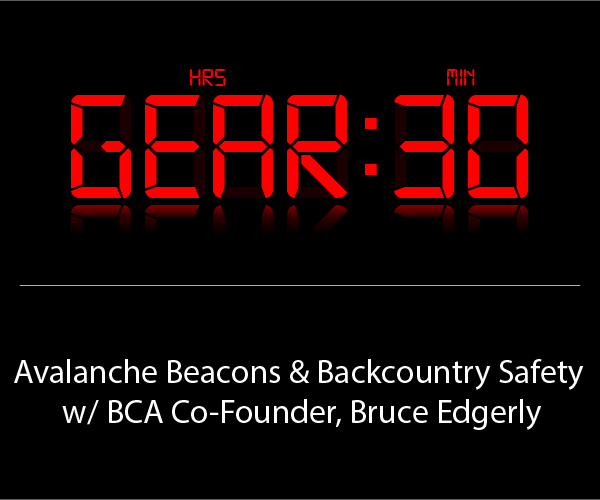 It is noteworthy that while the BOA dial snapped, it was still fully functional. I’ll be keeping an eye on the BOA on on the Ender, and will update this review should any issues arise. 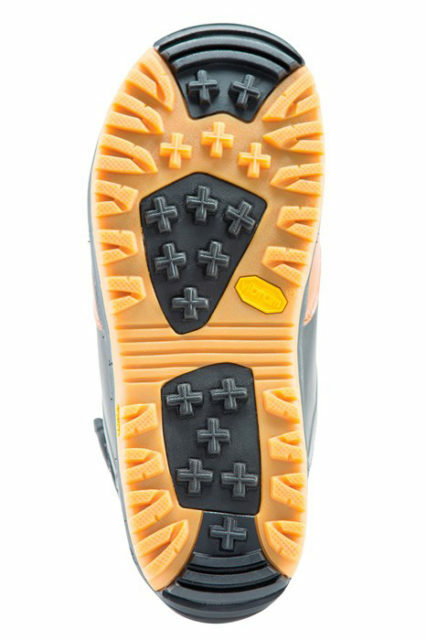 I think the Vibram V4 outsole on the Ender does a great job of providing good traction and including a well-lugged sole while remaining low-profile enough to maintain a solid, comfortable interface with the binding. I have always prefered a Vibram sole or similar traction pattern with a tough rubber base and significant lugs to increase the durability and grip of the boot. 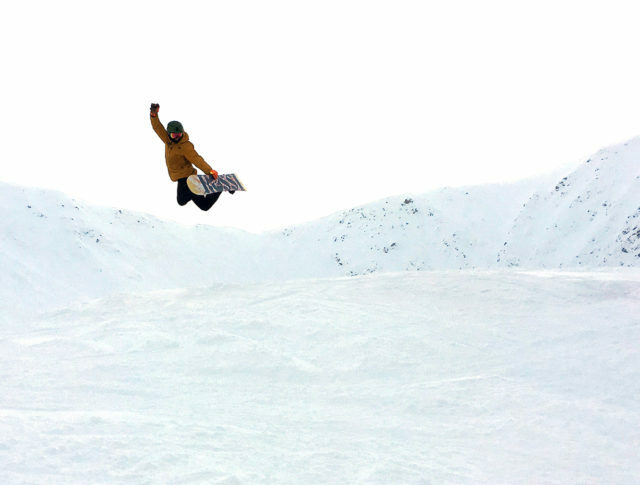 I do most of my resort riding at Alyeska where the base of the mountain sits at sea level, so I often encounter a variety of surfaces getting to the lifts, and on the mountain. It’s quite typical to start the morning tip toe-ing out the door and across an icy parking lot in the rain, walk through various degrees of slush at the base of the mountain, and into dry powder near the summit. The Vibram V4 sole of the Ender has done a great job keeping me upright throughout the day with plenty of traction for the various surfaces encountered at Alyeska. In comparison, the soft foam soles of the Nike Kaiju and Thirty Two Ultralight have felt worthless on ice and compacted snow. Compared to the backcountry-specific K2 Aspect, the sole on the Ender has a much lower profile with smaller lugs, resulting in a more connected, natural, and flatter feeling which I’ve found to perform better when jibbing and hitting features. The Ender’s sole has also proven extremely resilient against the wear and tear of sharp snowmachine running boards, which have chewed up several pairs of boots I’ve used with primarily-foam soles. So far, the Ender’s soles only show minor wear, much like the rest of the boot. I normally wear a 9.5-10.5 US Mens (depending on the style and manufacturer) and comfortably fit in this range for Fitwell, Deeluxe, Nike, and Scarpa boots. As with the K2 Aspect, I used the Ender in a size 9, and it fit relatively comfortably out of the box. Due to liners’ tendency to pack out over the course of a few seasons, I have always prefered a snugger fit to help prevent the heel from lifting, yet ideally with enough room in the toe box for good circulation. After 50+ days of riding in the Ender’s, I have experienced very minimal slop, and the fit is still very similar to how it felt after the initial break-in period. The Intuition Pro Foam 3D Liner of the Ender remains one of the more comfortable liners I have tried, and also provided the quickest break-in time. The Aspect has a very similar liner, but its liner includes two additional velcro power straps near the top. Despite the Ender’s lack of power straps, I have not seen much of a difference between the two liners in terms of performance and comfort. The break-in period in the Ender’s liner was painless with no blisters — a dramatic difference from the ThermoFlex liners of the Independent BC. I used the rice-in-sock method (as directed on the Intuition website) to cook the liners myself and the fit was excellent before heading to the resort for the first time, and continued to conform to my feet after a few days of riding. The Intuition Pro Foam liners have done an excellent job of maintaining their original feel and fit, even after almost 60 days of use. The liners in Nike Kaiju and Thirty Two Ultralights packed out much faster, resulting in a poor fit and sloppy performance — something that could only be temporarily corrected for a couple runs by over-tightening the boot. The internal and external J-bars (in addition to the BOA system) do a great job securing the ankle in the heel pocket without creating hotspots or heel lift. Although I do not have any significant complaints about Intuition Pro Foam Liners packing out or degrading, it seems that the liners may be on the verge. During the last few days at the resort (just shy of 60 days of use) the toe box seemed to feel pretty loose by the end of the day, which, admittedly, could just be a result of riding firm choppy conditions. I will continue to monitor the fit and update if there is noticeable degradation in the liners. Riding primarily in a wet maritime snowpack, the longevity of a boot’s waterproofing is very important for me. With a snowpack that fluctuates from 45°F to well below 0°, a boot’s ability to keep my feet warm and dry is essential. After 50+ days of use in a heavily saturated snowpack and lots of puddle skipping, the Ender has kept my feet warm and dry everyday, with very little sign of wear. 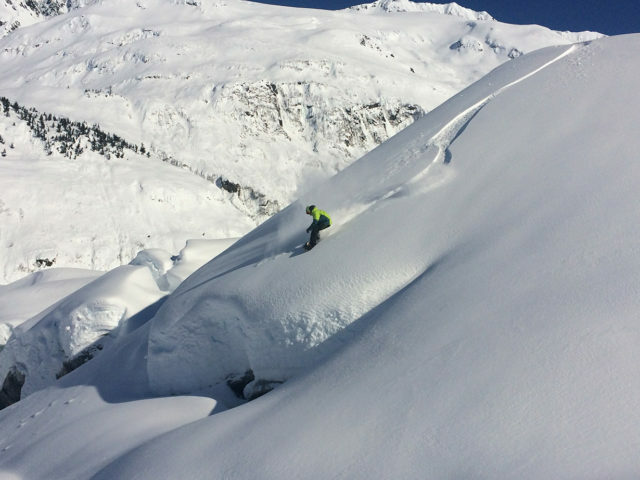 Although I have not used the Ender for a whole lot of backcountry splitboarding endeavors, I think it is an excellent candidate for someone looking for a boot to use at both the resort and in the backcountry. The Vibram sole provides very good traction while booting and scrambling, and still maintains good sensitivity compared to boots with deeper lugs. The Ender does not tour quite as well as the Aspect, but remains extremely comfortable on the skin track without sacrificing downhill performance. The BOA ankle harness is great for quickly adjusting from a looser touring fit to a more secure and responsive fit at the top for increased performance on the way down. I’ve found the Ender to be an excellent all-around boot for a variety of conditions. The Ender’s flex allows for very smooth and consistent turning, translating power from turn to turn with ease. The boot’s spine may be a touch too soft for really blasting through wet, tracked powder, but after cycling through numerous board / binding combinations in these conditions, it seems as though the board and binding play a larger role in the whole setup’s performance in wet, tracked powder. Overall, the Ender does very well in powder and consistent snow. While most boots preform pretty well in deep powder or fresh snow, the real test is how they absorb chatter in less than ideal conditions. The Ender features K2’s “Harshmellow Dampening Foam,” which they say is meant to cushion impacts. While I can’t say if it’s completely due to the Harshmellow foam, the Ender does an efficient job of eliminating chatter in ice and chunder at high speeds, and provides a noticeably smoother ride than many other boots I’ve used. I have been primarily riding carbon bindings (NOW O-Drive and Union Ultra FC), and when using them with the Ender, the ride seems very smooth for such stiff and responsive bindings. The combination of the carbon bindings and Ender Boot on fresh corduroy is quite impressive — turns can be very snappy and sharp, or buttered out for smooth and gradual transitions, making it a very fun boot at higher speeds on smooth snow. Although I have not used the boots more than a handful of days in the park, the smooth flexing spine made spinning and flipping jumps feel very consistent and tweakable, which shouldn’t be a surprise given that the boot is marketed towards freestyle riding. It’s a very playful boot for side hits, cliffs, and jumps on a variety of surfaces. I think the Ender is a great boot for a very broad range of freeride- or freestyle-oriented riders. I’ve found it stiff enough for most days, although it may feel a bit soft for bigger, hard charging riders, especially when straightlining through hard variable snow or wet tracked powder. For the riders that prefer to jib and hit features throughout the day, make surfy turns, or enjoy carving at high speeds on smooth groomers, the Ender is a great candidate. On top of that, the Ender has held up extremely well through the rigors of the resort and occasional backcountry trips. 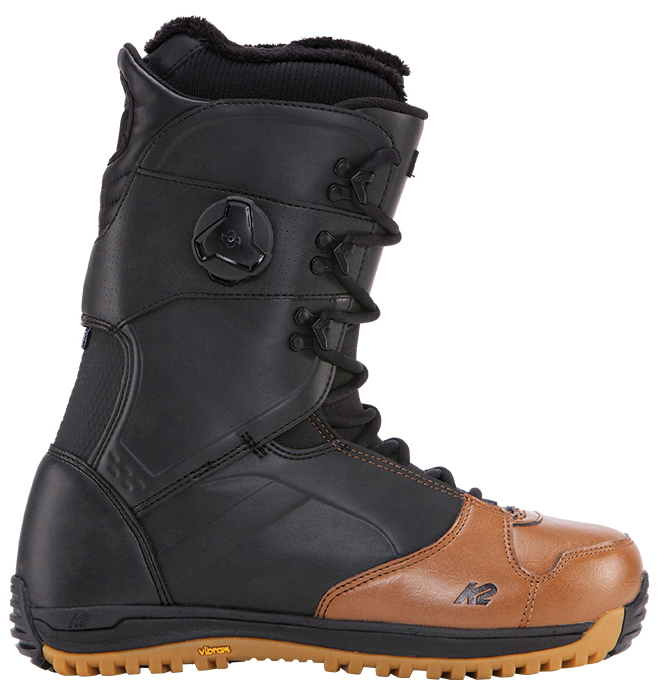 The Ender is a durable snowboard boot that works very well for a variety of riding styles and conditions. 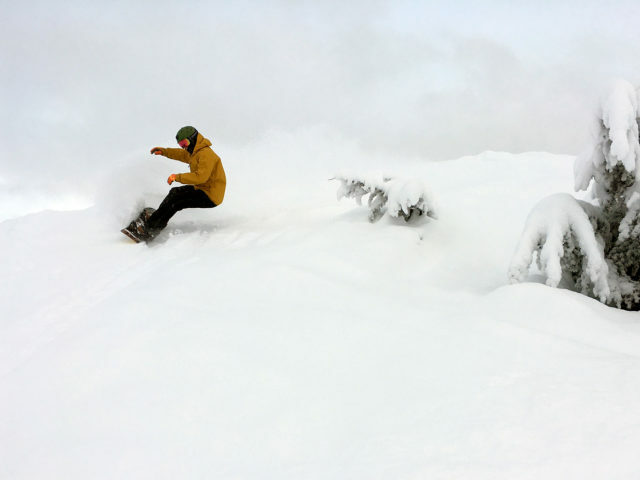 It excels at the resort and is also a decent option for the backcountry. The Ender does a fantastic job of blending attributes that I think a lot of people will enjoy, whether you are more into freeriding, freestyle, or enjoy both aspects of the sport equally.